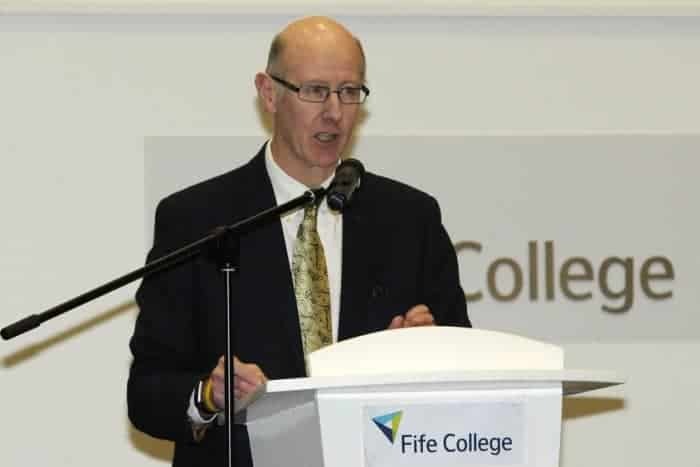 Kirkcaldy & Central Fife Sports Council Chairman Alistair Cameron has decided to step down from the role with immediate effect. Having taken over as Chairman in 2013 and has played a pivotal role in the organisation over the past 5 years overseeing excellent progression and involvement in a number of key projects. Due to additional Councillor duties and other commitments, Alistair doesn’t feel he can give the role what it needs and feels its time for some new fresh blood to lead the organisation forward. The management committee moved swiftly to appoint current Vice-Chairman Kenny Crichton as the Interim Chairman whilst Alistair was co-opted onto the committee as a committee member. No Replies to "Chairman Steps Down"